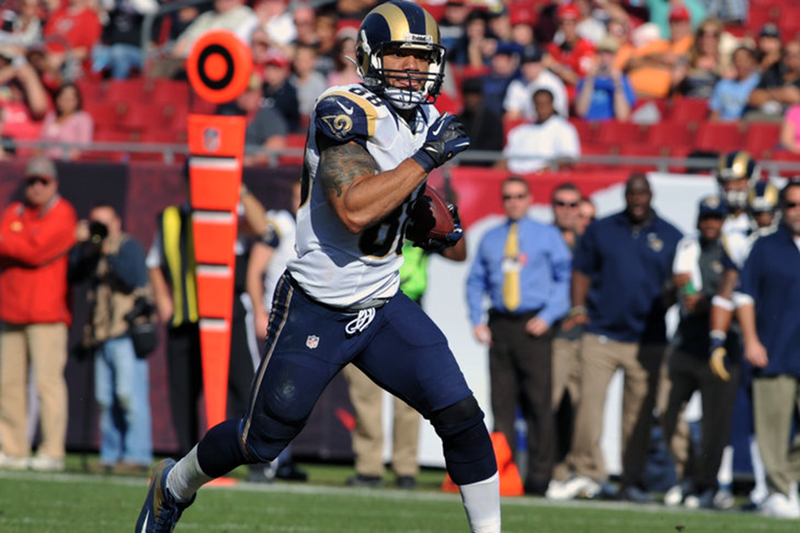 After spending most of the 2012 season attached to the line of scrimmage working as a glorified sixth offensive lineman or set up in the backfield as a de facto fullback, Rams tight end Lance Kendricks has been unleashed in the passing game a bit more in recent weeks. Never was that more evident than Sunday in Tampa Bay where Kendricks finally got the chance to again show the big play, pass catching promise he showed in the 2011 preseason that had many tabbing him as one of the next stars at the ever-growing position. 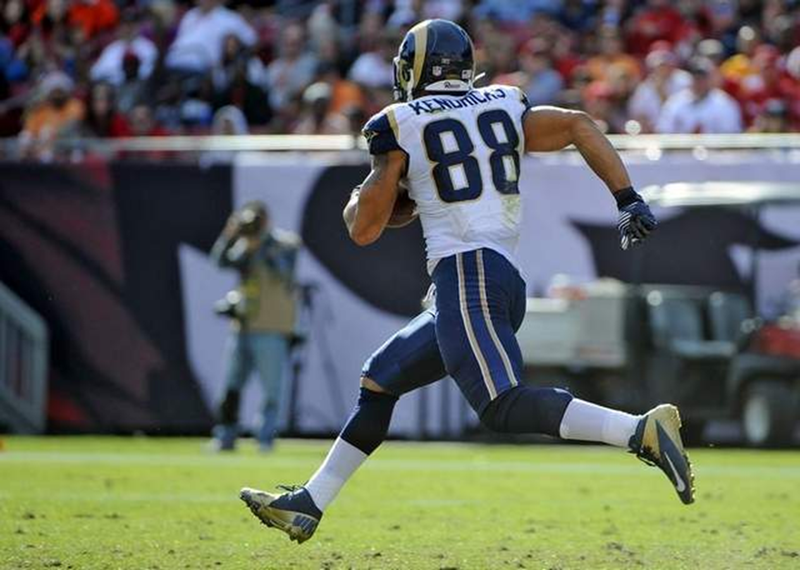 When all was said in done in the Rams’ 28-13 win against the Bucs, Kendricks had posted his first career 100-yard game, racking up 119 yards on four catches and posted an 80-yard touchdown catch that set a franchise record for the longest touchdown grab by a tight end. In many ways, this whole season has been the start of something for Kendricks even if it wasn’t always as obvious in the post-game stat book as it was on Sunday. Kendricks has proved one of the Rams’ most improved and valuable offensive pieces this year, moving all over the places and providing another stout blocker to a team that has needed his help because of so many mixed and matched offensive lines caused by injuries. Despite spending so much time helping out blocking, Kendricks patiently waited for the chance to get back into a role as a weapon in the passing game. As a rookie in 2011, Kendricks went through more than his share of the ups and downs that go with your first year in the league. In training camp, Kendricks said he hoped to wipe the memories of some drops and some loss in confidence away this season. 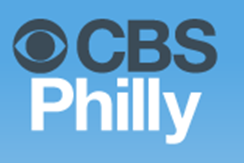 According to teammates such as defensive end Chris Long, he’s seen plenty of that growth this year. The results, even despite limited usage as a receiver, have been quite strong. Although the Rams don’t exactly have a long history of receivers posting big statistics since moving to St. Louis, Kendricks’ 486 receiving yards is now the best total for a tight end since the team relocated in 1995. Additionally, Kendricks has posted 39 catches, which ranks fourth on the team, and four touchdowns, which is tied with running back Steven Jackson and cornerback Janoris Jenkins for second on the team. Kendricks’ 80-yard touchdown broke the record for longest touchdown reception by a tight end in franchise history. That record actually stood for 55 years and was a 70-yard grab held by Leon Clarke. Of course, that record almost didn’t come to fruition because Kendricks found himself searching for help with about 20 yards to go. On Jackson’s touchdown run earlier in the game, Kendricks had actually been hit on his hip, which didn’t help him maintain top speed for the entirety of the run. But from the sideline, the sight of Kendricks trying to finish the run brought some chuckles, at least after it was over. “I saw the piano jump on his back about the 20,” Long said, laughing. Kendricks found himself searching for help and got it as receiver Danny Amendola came darting into the picture seemingly out of nowhere. Amendola took out the final two Bucs defenders standing in Kendricks’ way and he finished the run with a dive into the end zone for the score, the first time in his young career he’s scored touchdowns in back to back games. Coach Jeff Fisher was proud of Kendricks for finishing the run but also what happened after. On a more serious note, the Rams appear to have found something with Kendricks in the passing game, particularly with seam routes down the middle of the field. Kendricks had a huge catch on the team’s game winning drive at Buffalo on Dec. 9 and a big touchdown grab against Arizona on Nov. 25. Those two plays plus Sunday’s long scoring catch all came on similar play-action passes that fake a handoff to Jackson and allow Kendricks to use his speed and athleticism to stress the defense down the middle. Even if the play results in Kendricks needing oxygen, his work in 2012 should allow the Rams to breathe easy about their future at a position that’s long craved consistency. 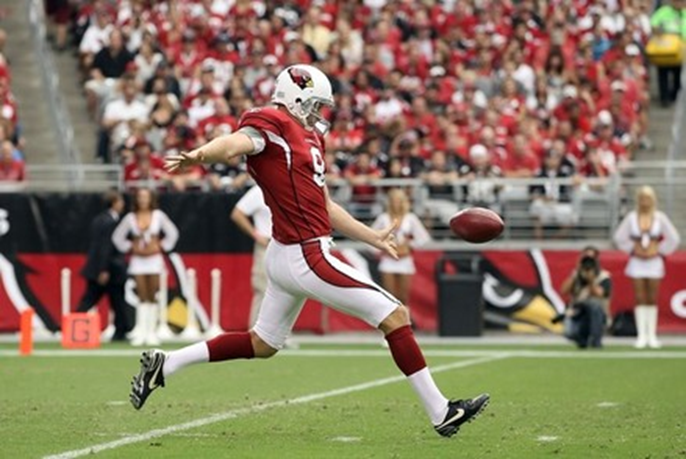 From Josh Weinfuss's "Fitzgerald finally reaches 100"
Punter Dave Zastudil set a new single-season NFL record Sunday with his 44th punt downed inside the 20-yard-line. 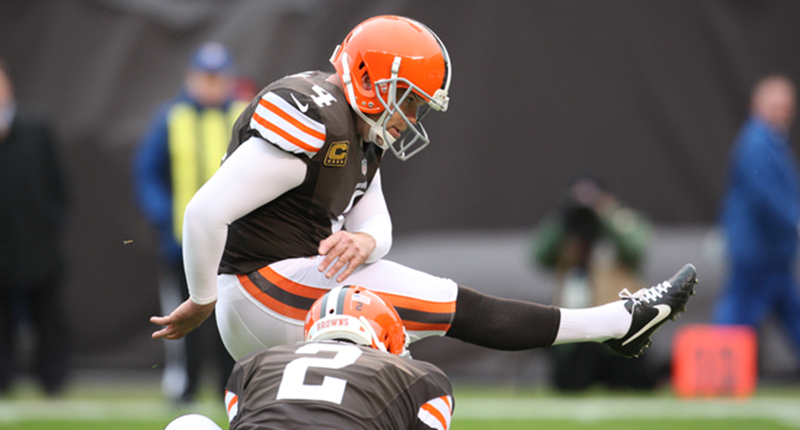 He tied the old mark of 42 with 1:54 left in the third quarter on a 49-yard boot that was downed at the Bears 1. He broke the record early in the fourth quarter with a 33-yard punt to the Bears 7 and extended it on the Cardinals’ next drive when Devin Hester was tackled at the Bears 8. 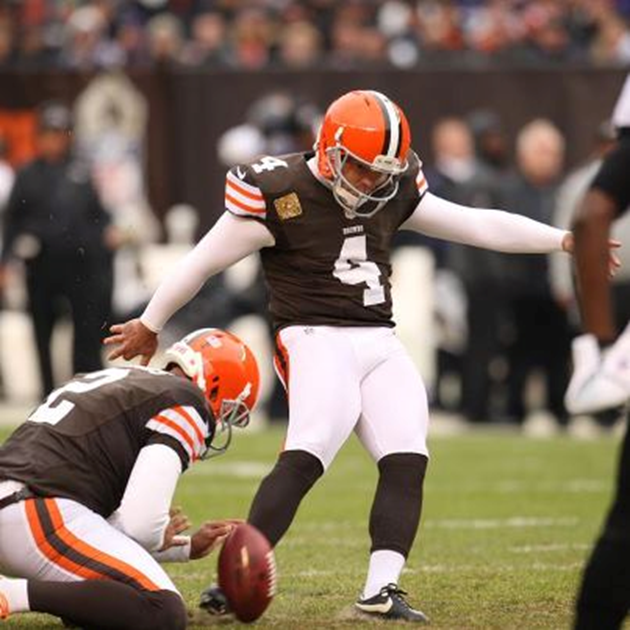 Zastudil entered the game with 38 punts downed inside the 20 and was on pace to finish the season with 44. 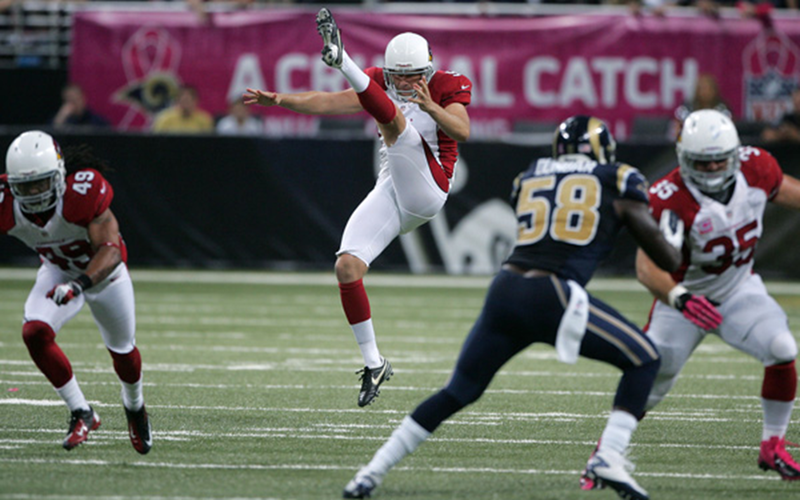 Earlier Sunday, Kansas City punter Dustin Colquitt tied San Francisco’s Andy Lee, the Giants’ Steve Weatherford and former Cardinal Ben Graham with his 42nd, only to have Zastudil kick past all of them later a few hours later. 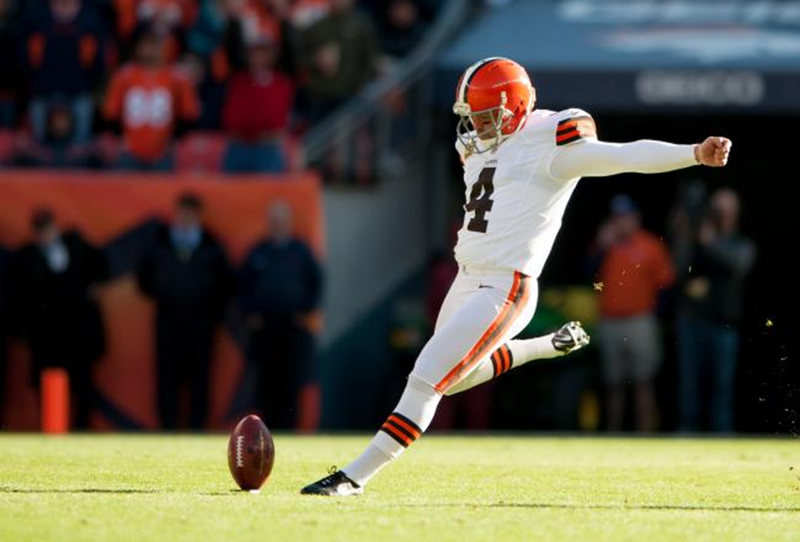 CLEVELAND - It was another historic day for Browns kicker Phil Dawson on Sunday as he reached the 300 mark in career field goals. 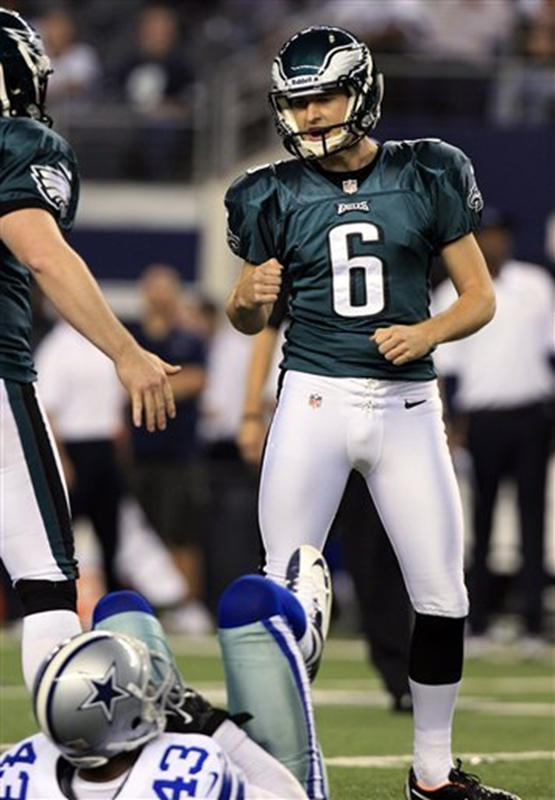 Dawson, who was good on three-of-three kicks and is now at 302, became the 25th player in NFL history to make 300 field goals with a 23-yarder in the first quarter. 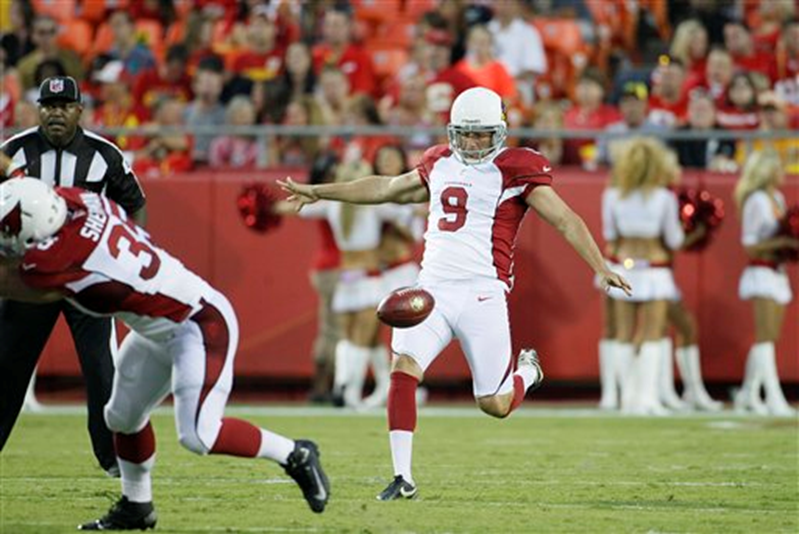 He has the best percentage (84.1) among all 25 kickers. 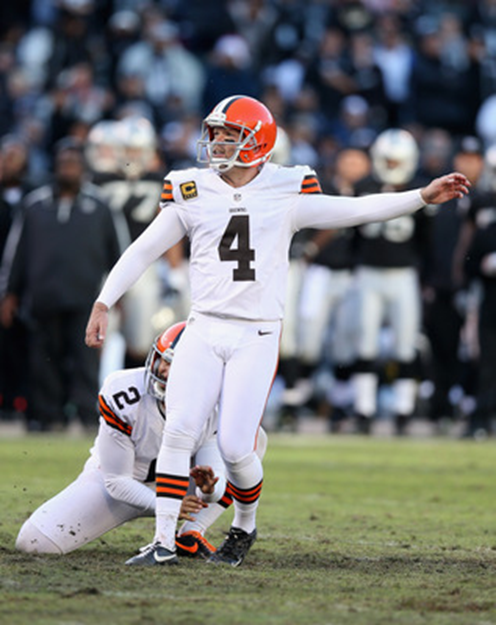 Matt Stover, who kicked for the Browns and Ravens, is second at 83.7 percent. Dawson was admittedly nervous about reaching the milestone. He would have done it last week in Oakland, but he had a short attempt blocked. 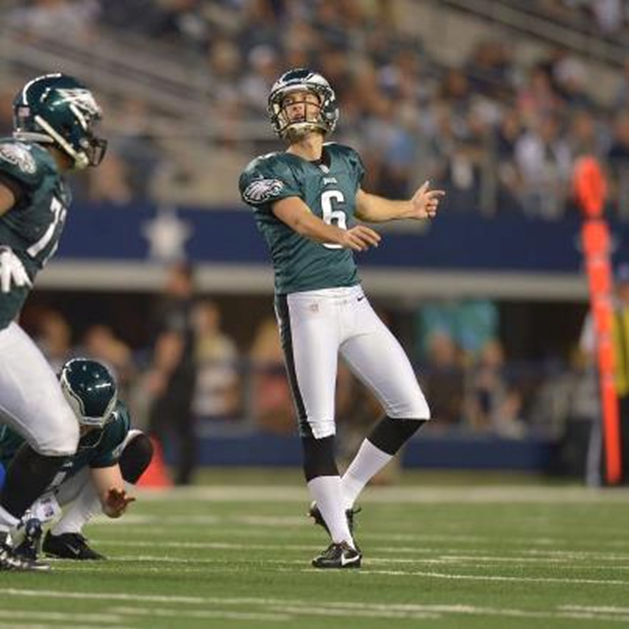 "If you'd seen me kicking in pregame you could probably pick it up," Dawson said. "Fortunately, I kind of settled down a little bit. Having that first field goal be a short one I think helped me get a little comfortable, and as the game went situations kept coming and you really start to feel part of the game." Coach Pat Shurmur was aware of Dawson's nervousness. "Quite frankly, Phil was nervous about it," Shurmur said. "He said, 'Gosh, every time I've had one of these games it hadn't worked out.' I said, 'Just don't worry about it. It's going to be okay.' "
It was surprising to learn that Dawson was nervous. 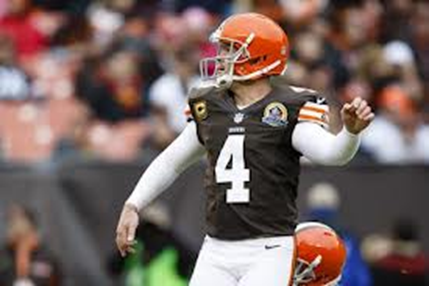 He has been the picture of calm confidence during 14 seasons with the Browns. 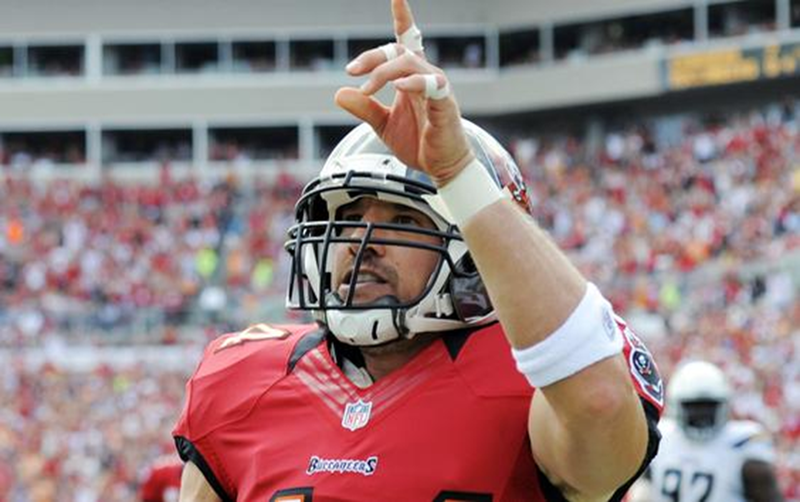 He's made a long list of memorable kicks, including a 35-yarder and a 49-yarder in blizzard conditions against the Buffalo Bills in 2007, yet he was nervous about reaching what had become the inevitable 300th. "I worked a long time to have a chance to get there," he said. "To be right on the doorstep sometimes is worse than being 50 away." 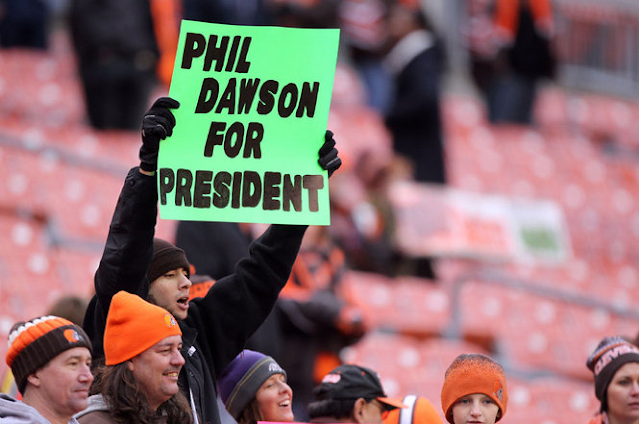 Dawson, who was signed as an undrafted rookie in 1999, has seen each of the Browns' 148 defeats since their return as an expansion team. He's enjoying the ride of the current three-game winning streak. "I can get used to this," he said. "I caught some heat a couple of months ago saying I feel like we were right on the verge. My timing might have been a little off, but I think we're starting to see what I've been feeling for awhile." Reaching a milestone during the stretch makes it all the better. "I'm grateful for all the teammates I've had that have helped me get to that," Dawson said. "Kansas City was coming hard on the field-goal rush. 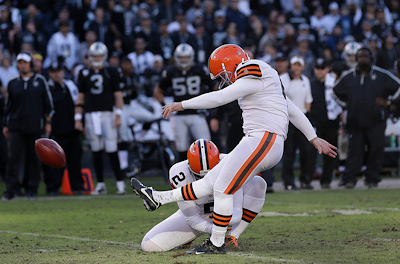 After every field goal I'm picking up three or four guys who are flat on their backs. Those guys never get credit for made field goals."